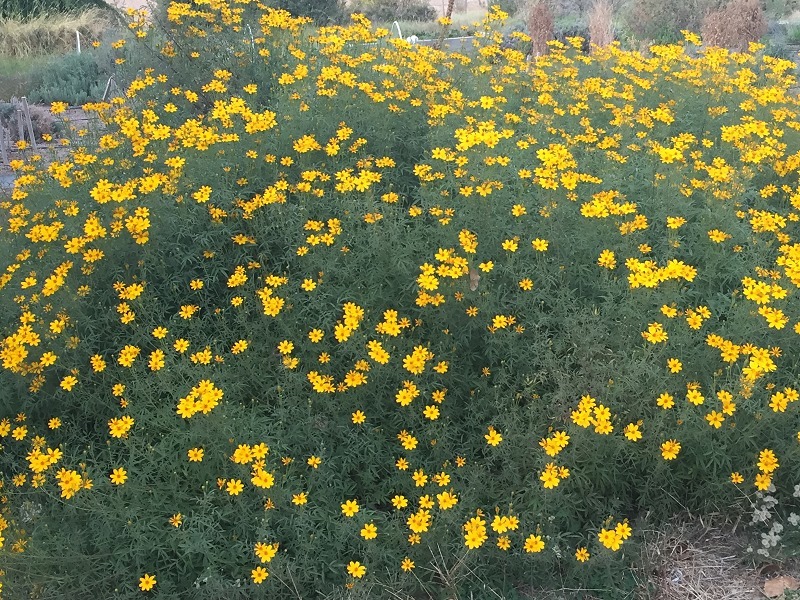 This delicate single petal marigold is a rugged perennial landscape plant in Zones 8 and up. Unlike its diminutive cousin, the common annual marigold of bedding plant fame, Tangerine Scented Marigold is covered in blooms from early fall until frost. The vast swatch of Tangerine Marigold pictured below is about 20 feet long and 8 feet wide. It has been in this spot for about 15 years and continues to cover more ground every year. Other unusual perennial Marigolds are the fragrant, culinary perennial Tagetes nelsonii, referred to as the Citrus Scented Marigold, and the tasty culinary perennial Spanish Tarragon, Tagetes lucida. 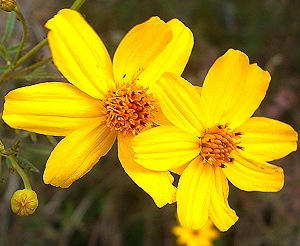 Tangerine Scented Marigold is one of the six plants chosen to be in our Zone 8 Fragrant Herb Garden Six Pack. This plant is often available in plug trays. These trays hold 128 of all the same plant. They are a great low cost way to fill a lot of space. Each cell is 3/4 of inch by an inch. Check here to see if Tangerine Scented Marigold Plug Trays are available.